Spend your 2016 summer holiday relaxing and unwinding sitting in a cottage country garden… reading a book, sunbathing, playing with the family! If that sounds good then you need to check out our selected holiday cottages, apartments and lodges all with their own private garden or patio. We have thousands of cottages with gardens perfect for a bit of sunbathing, play or simply chilling out. And, if you have a pet, we also have enclosed gardens to try to prevent any unwanted escapees! We can offer more than country gardens, so if you prefer for something on the coast, maybe with sea views, you can search for that too. You can choose from selected cottages, apartments and lodges across England, Scotland, Ireland and Wales and so you have plenty of choice wherever you wish to head for your summer holidays. 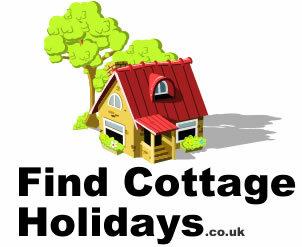 Not surprisingly the best self catering cottages and holiday homes get booked up very quickly, often because repeat visitors are quick off the mark, and so you need to be looking now to secure your ideal holiday accommodation for 2016. That doesn’t mean you are likely to overpay though. Much of the preferred locations and dates will book quickly and so there is little chance of a ‘late deal’, more likely disappointment. What’s more if you book early you can take advantage of some early booking offers that can save you money on your summer holiday. If it is proving difficult to find the location and availability you want for your summer 2016 holiday, or you want to look for some last-minute or late availability, then try call 0345 498 6152. The team have access to thousands of holiday cottages, apartments, lodges and holidays parks across the UK and Ireland and so will be able to do the searching for you or provide you with some great alternatives.